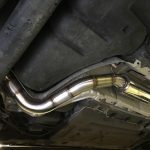 We've long been supplying custom fabricated exhausts for our race cars but now we've decided to offer the same service for road car customers. 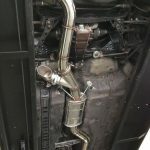 Each system is hand made in house at our Silverstone HQ and we offer a variety of levels of system from cost effective OEM replacement to full custom build to whatever your imagination can create. 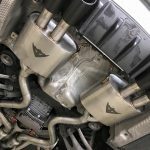 The exhaust system is fundamentally one of the most important upgrades you can do to your car, let alone a better sound, lighter weight and higher quality construction but the process of allowing the engine to get rid of exhaust gases faster and more efficiently means you are unlocking power from the engine rather than making it work harder. 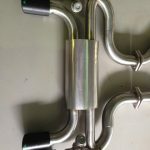 Exhausts are also a common area where manufacturers go for the cheapest option possible, to their minds (and the minds of the average owner) the exhaust needs to be the minimum cost possible to pass emissions and be as quiet as possible so a properly designed and crafted exhaust can pay big dividends in terms of an upgrade to a car. 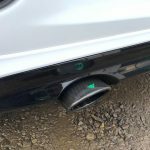 The beauty of a custom built system is that we can create something perfect for your needs; sound, power, emissions level can all be custom set to what you need suitable for your car and application and all hand built to the car for the perfect fit. 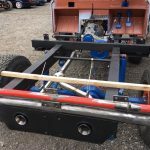 Want a 4" bore joining to a 3" twin collector and side exits? No problem. 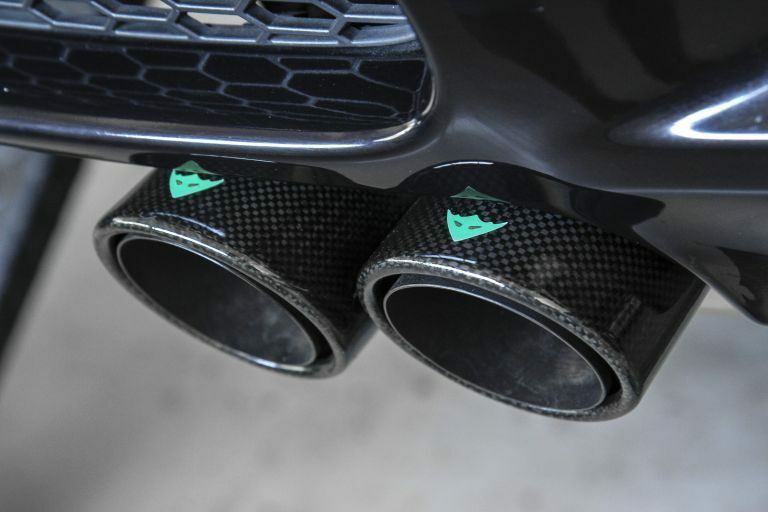 Want a deeper exhaust note but no boom and quiet at motorway cruising speeds? No problem. 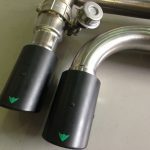 Want a valved system with removable cats and extra O2 sensors? No problem. 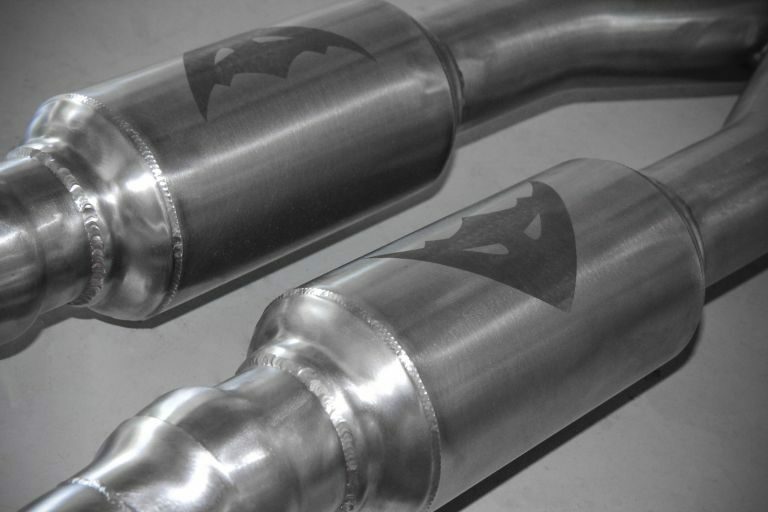 Or just want a simple full stainless steel exhaust to replace the old rotted one on your car? No problem, there is really no limit at what can be created from simple replacement to full on FIA GT cars. 1. What type of material? 2. 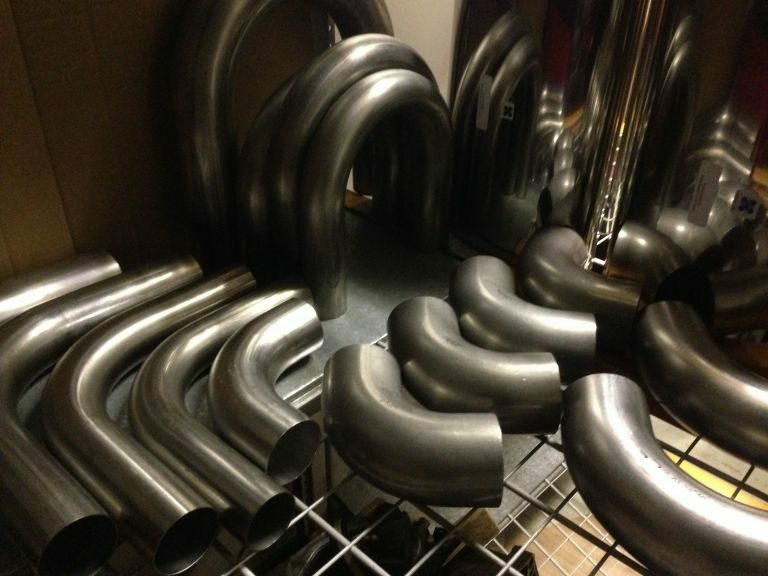 What type of bends? 3. What kind of construction? 4. 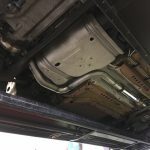 What quality of catalytic converter? 5. What kind of exhaust tips? 6. What sort of sound? 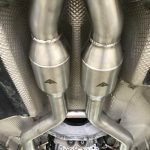 Generally we only ever use type 304 stainless steel, this is highest quality stainless steel used for exhaust construction. We can use lower quality for low cost replacement but generally advise against it. 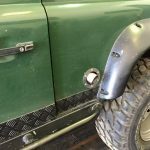 Type 304 wont rot or rust as a mild steel exhaust will so its a perfect 'lifetime' replacement. 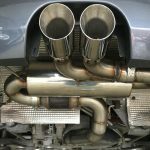 We currently don't offer titanium systems mainly as we feel the extra cost isn't justified on a road car application and the lower weight isn't justified on race cars, the exhaust is low on the chassis so has minimum affect in terms of handling dynamics so saving 3 kg under the car has minimal affect. We can have systems made in titanium if you're that keen of course but for double the cost we don't think its worth it. There are two types, mandrel and pressure bent. Mandrel system are best in terms of power as the internal bore is uniform (the inside of the tube is the same bore around turns) whereas pressure bent means the internal bore will adjust around turns. 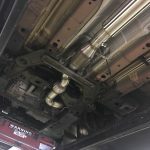 However mandrel bent systems cost more as they are slower to build and require more expensive tooling and machinery to create. 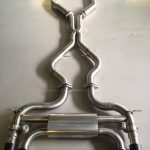 If you're after a system for power we would always recommend a mandrel bent system especially if the system requires a lot of tight bends in relatively short spaces but a well designed pressure bent system can offer very similar levels of power for a cheaper cost so the choice is yours. 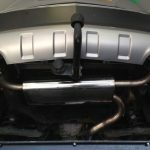 We can weld systems either using TIG or MIG systems. 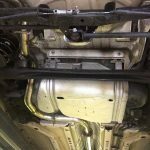 TIG produces a better weld generally but is slower and as such is more expensive. MIG is faster and produces a strong bond but is not as attractive in terms of the look of the weld. Both do the job in terms of structural rigidity but TIG is preferred so long as you can handle the extra cost. 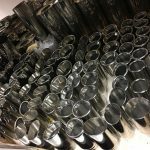 Mandrel bent systems need to be TIG welded, pressure bent can be MIG welded. Generally we prefer TIG as its neater, cleaner and looks more professional but MIG does the job for less cost. 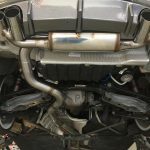 What quality of catalytic converter? 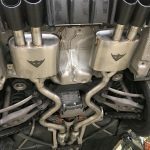 Most people generally understand the number of cells a cat contains relates to its quality so you often hear of 200 cell cats being 'better' than 400 cell cats as they can process more exhaust gases in a given period, however the issue is a lot more complicated than that. 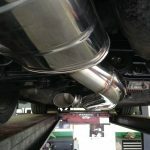 The most important aspect is the quality of the coatings actually on the cat, having a low quality coating on a 200 cell cat is going to fail an MOT faster than a higher quality coating version on a 100 cell cat, the number of cells is only one measure of catalytic converter which is even more important when you start throwing in terms like 'sports cat' and 'FIA homologated cat'. As you'd expect all of this has a dramatic affect on he cost so a lot depends on what sort of system you're after, replacement or power enhancement. 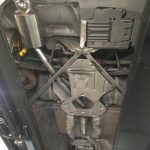 We can advise which sort of cat and what level for you car when discussing your needs. 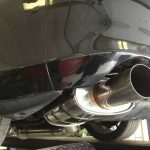 What kind of exhaust tips? 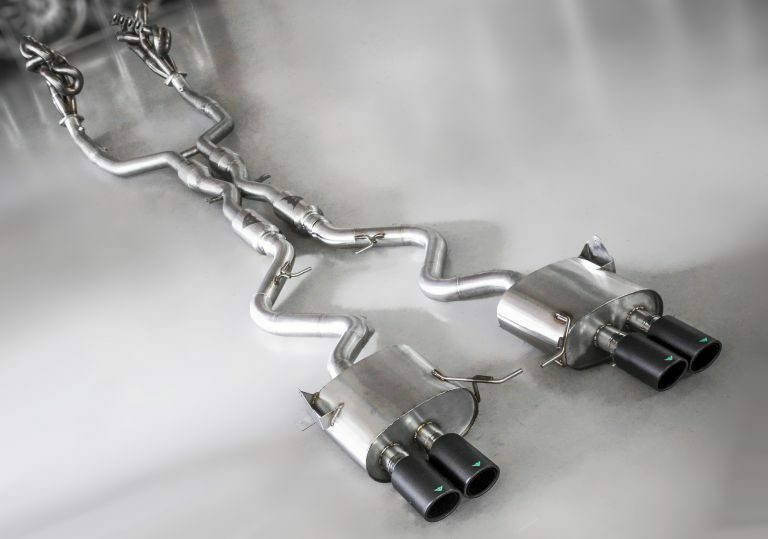 For the most part the tips of the exhaust are the only bits you'll see so we obviously offer a wide range of options. 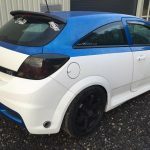 Top of the range are our own carbon fibre tips which we use on all of our high end systems, available in round and oval designs, they come with our devil logo laquered on and look stunning. Of course we can also offer any size of oval, square, letterbox, round, slash cut, rolled edge and even a love heart design so the choice is yours. We can even make the system with removable tips so if you want a different look just change them out. 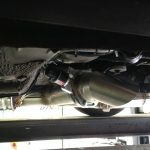 For all Custom exhaust work its best to give us a call and organise getting your vehicle over too us for a free quote. We can go through your requirements and options and give you a tailored price. Please give us a call on 01280 850102 to book a quote.